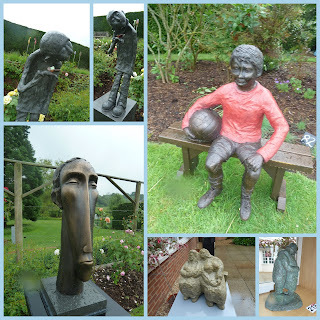 Birtley House is a family run Care Home which opens it's grounds once a year to host a large scale Sculpture Event. 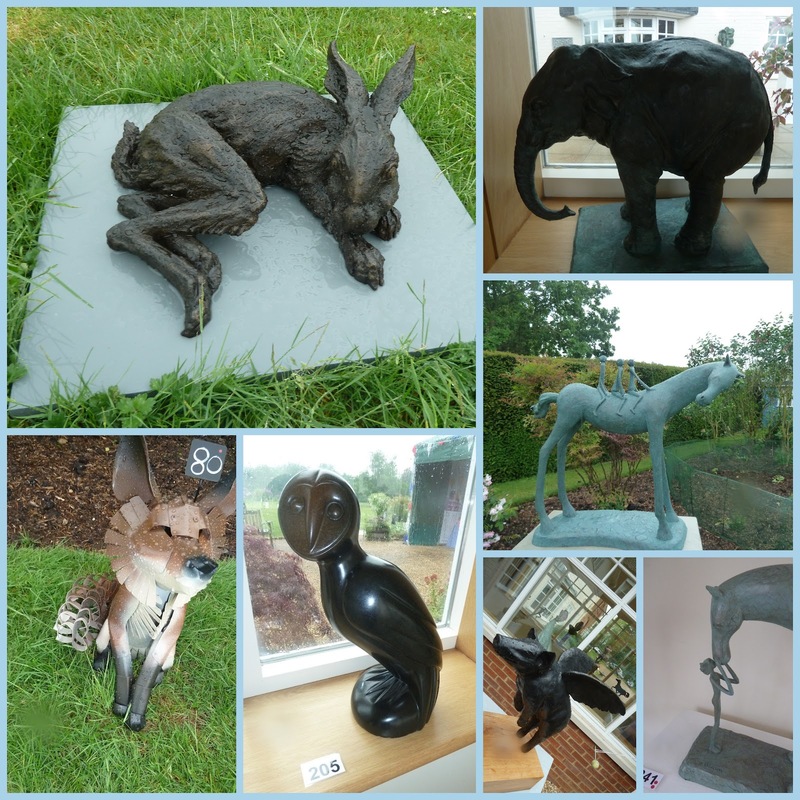 This year there was over 160 exhibits by 58 different sculpters and the variety of pieces was very surprising. 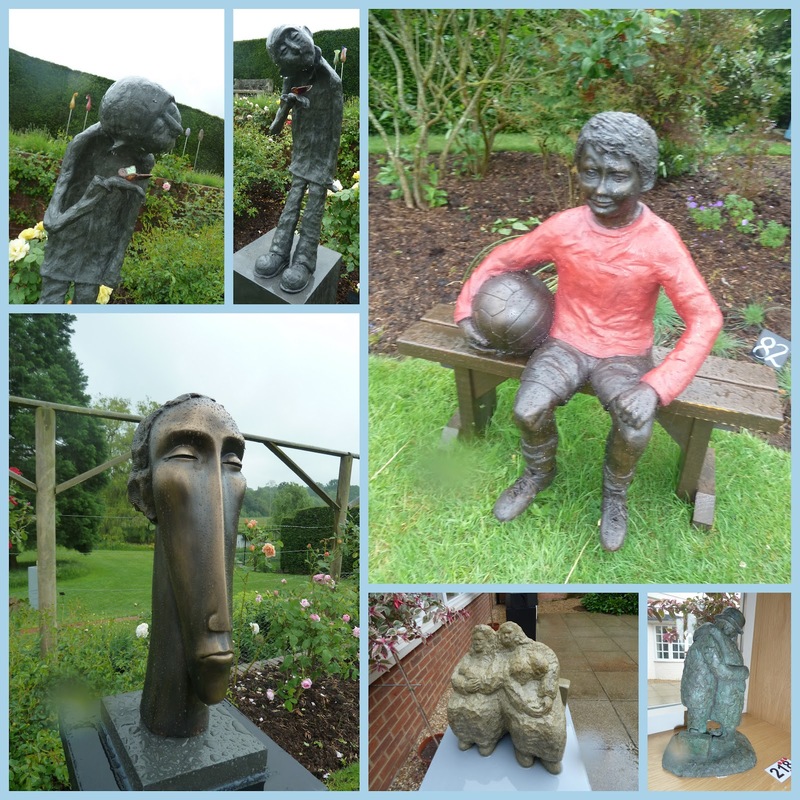 Although the weather was not favourable for the open weekend the visitors flocked to see this arrangement of art. I was amongst them with my raincoat and canvas shoes and even the rain dripping off my nose couldn't distract me from seeking out my favourites. As you might have guessed I liked the pieces with personality both in animals and human forms. A FREE event with such a lovely setting should not be missed and I'll certainly be seeking out the date for next years Sculpture Garden.